Are you ‘seeing’ your life from a fresh new place? From the moment we entered the new millennium in 2000 till 2999, humanity entered into a whole new phase of learning, challenges, and transformation – a time heavily influenced by the #2. A portal has opened… and you are taking in the vistas with new eyes, as if for the first time. 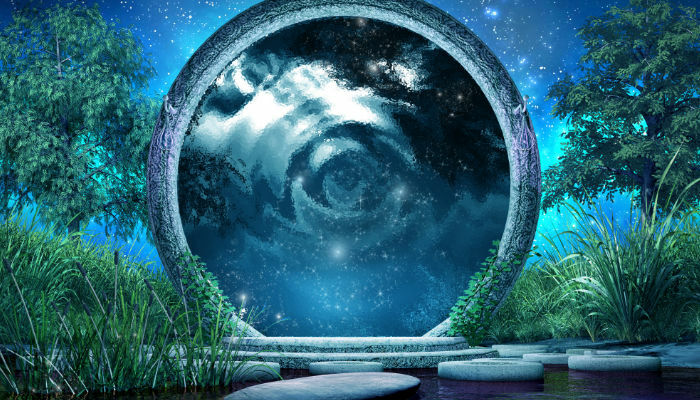 Multi-dimensional portals are opening up new gateways of energy. You are being energetically lifted through a gateway of divine intelligence and “seeing the light” – grasping your life with the awareness of a sage. With Saturn recently conjunct the Galactic Center we have been experiencing being in a womb of destiny. You are being cradled, so you can come to terms with who you are, what you are here to accomplish and experience a greater awareness. Things that eluded you before now are now are coming to LIGHT. It is a Time of Truth – of profound Revelation. A new destiny is being manifested within you that is in perfect alignment with your SOUL. Are you being released of old habits – ENDING a way of life and EMBRACING a new completely new way? Look closely at what is changing in your life. You are having a soul renewal. Old structures have crumbled and you and humanity are now in a phase of rebuilding. These aren’t overnight AHA moments, but revelations that clarify how your life has shifted over the past years! SO much has been downloaded recently as the Portals open in your heart. Take that extra time to meditate, relax, and reflect. You are aligning with your true destiny. You are discovering how to navigate these galactic energy surges with grace and gratitude, and in partnership with Spirit. You and the Universe are now PARTNERS. This is what the 2000’s symbolizes. The number 2 is about two coming together as one, about listening, peace and compassionate engagement. Partner with your guides. Partner with Source. Feel the miracle when every breath is connected to the Divine.